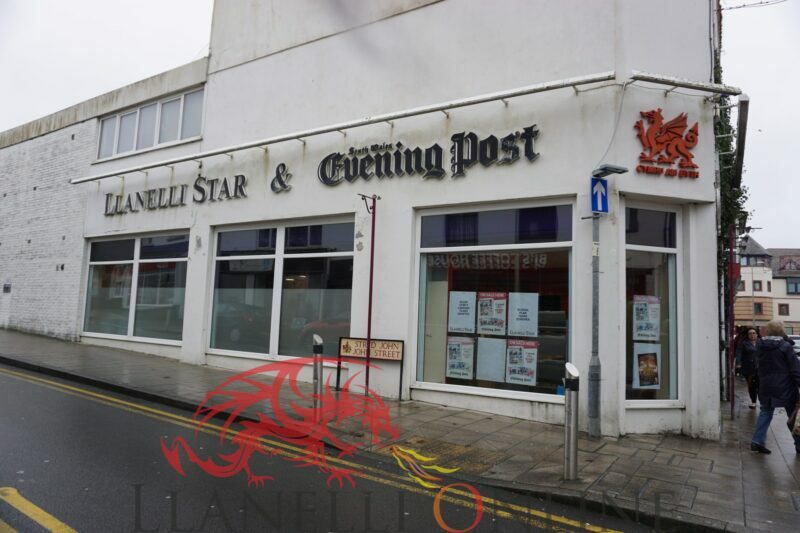 The Llanelli Star offices on Cowell Street are set to close at the end of this month (December) in a move, which will see the newspaper without a dedicated office for the first time in its 100 year plus existence. The new editor is Kidwelly man Jonathan Roberts. He claims that the paper’s reporters will still have a physical presence in the town via clinics. 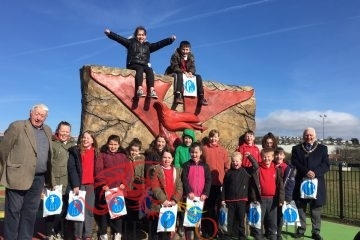 Llanelli Online spoke to two former journalists with the Llanelli Star and we asked them what they thought of the news. 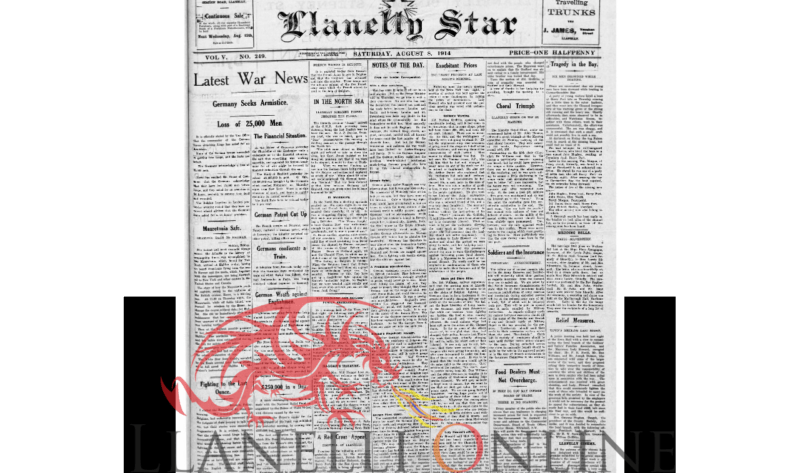 Ron Cant was a former journalist at the Llanelli Star, now working at the press department at Carmarthenshire County Council along with numerous other former Llanelli Star employees. 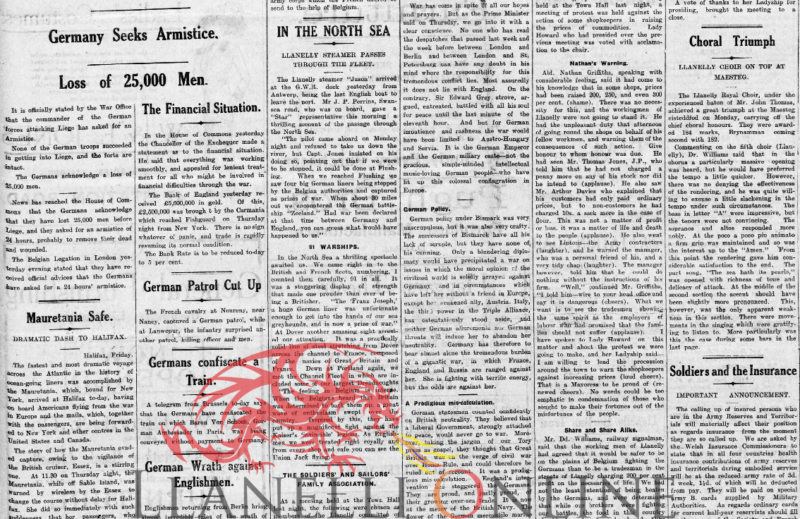 He said “It is a sad day for Llanelli. I go back an awful long way with the paper. 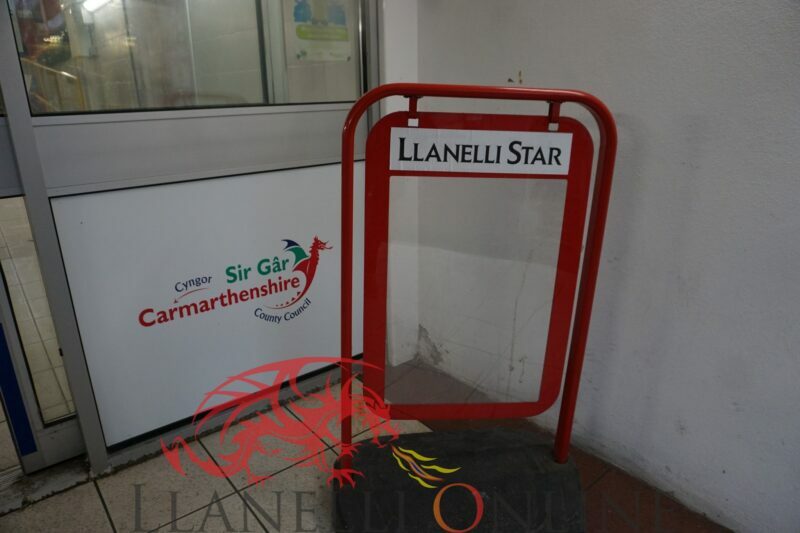 There was a Star office on Frederick Street. 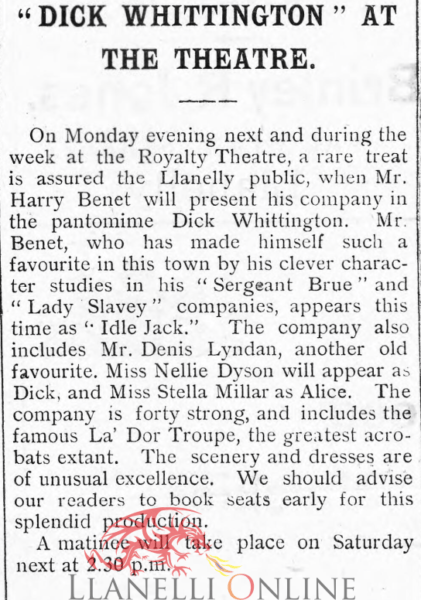 Harry (Scarlet) Davies and Wilf Davies were the two doyens of Llanelli News. 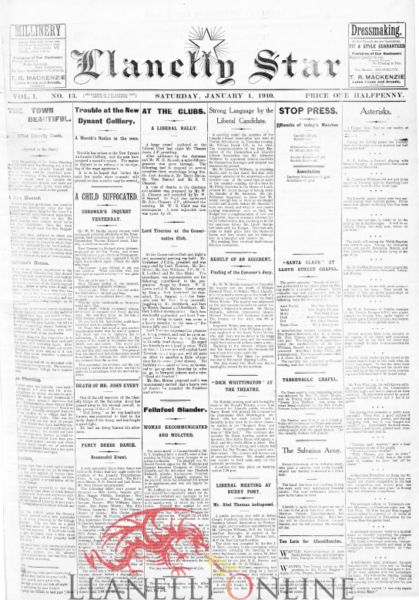 They worked at Frederick Street and Wilf covered the Olympic Games for the press. You can imagine what an esteemed journalist he was. “I joined in 1964 and at that time the Star was in Murray Street now the Bengal Lancer. I remember the little toilet shared by the works team. There was a sign which said £64,0000 may come your way but don’t sit here and dream all day. That was a nod to the prize on the pools, which was at that time £64,000. “I started on around £6/3 shillings and 4 pence a week. They moved to Station Road in the 1980’s. 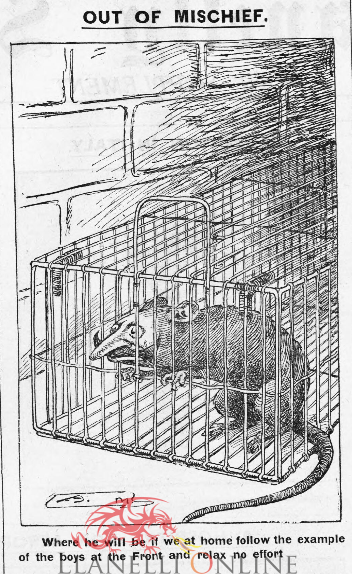 Geoffrey Lloyd was the editor. He’d had an accident and they were putting a lift in to get him up to the second floor but he died in 1986. 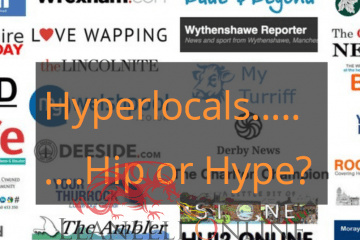 “I think digital has moved the sway and National newspapers are struggling. 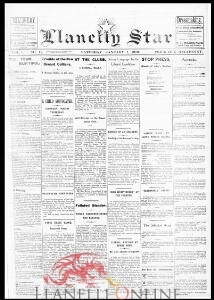 The days of printed news are fast failing. I am a newspaper man and I enjoy the read but digital is the future. It is sad when ofices close and we have seen it with other offices like the Post Office. 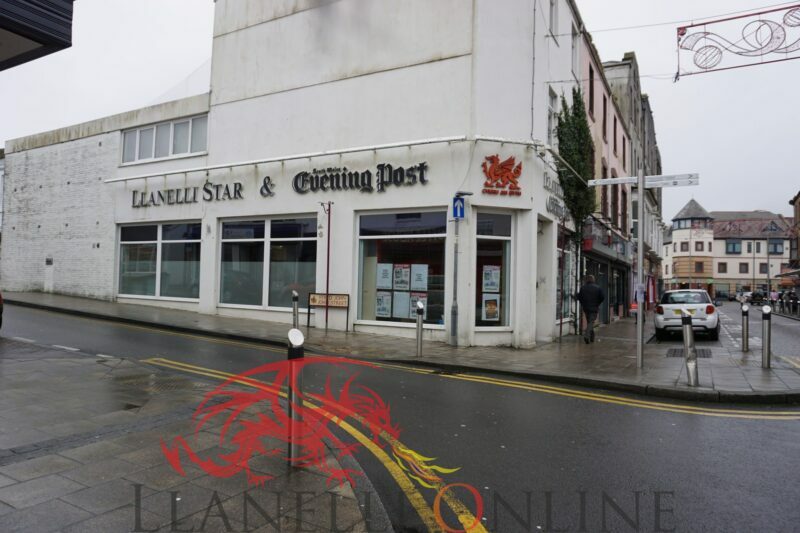 Former Sports Editor Barrie Thomas worked for the Llanelli Star for a number of years. 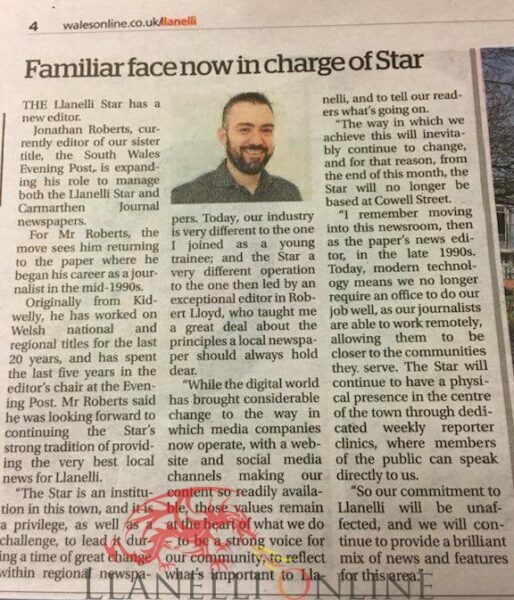 On hearing the news of the office closure he said: “The Llanelli Star started in Murray Street and there was a print press there. It is unbelieveable. A sad day for the town. 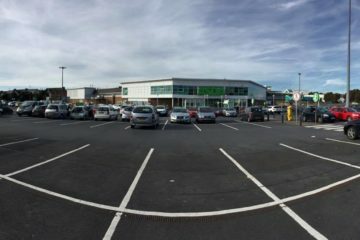 I took a photo of the offices this morning. That was my last home. Without the Star there won’t be a presence in the town. How can you survive with that. I dont know what is going on but I dont think the paper will disappear. The Star is part of your life. 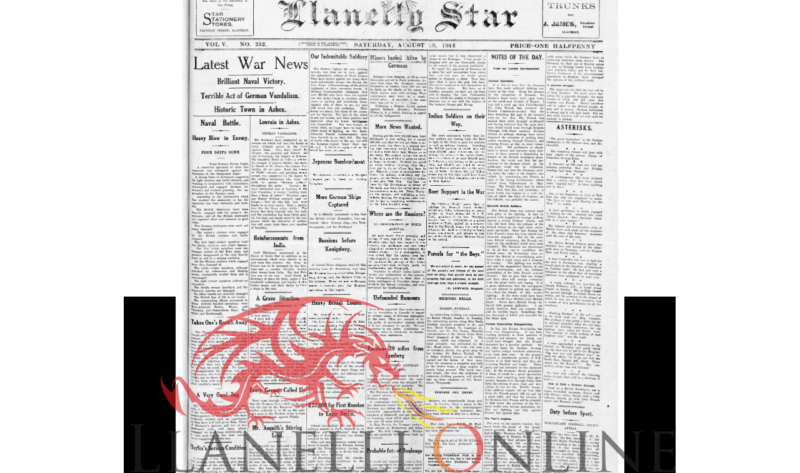 The newspaper has brought news to the town of Llanelli for more than a century and broken the news of two World wars. 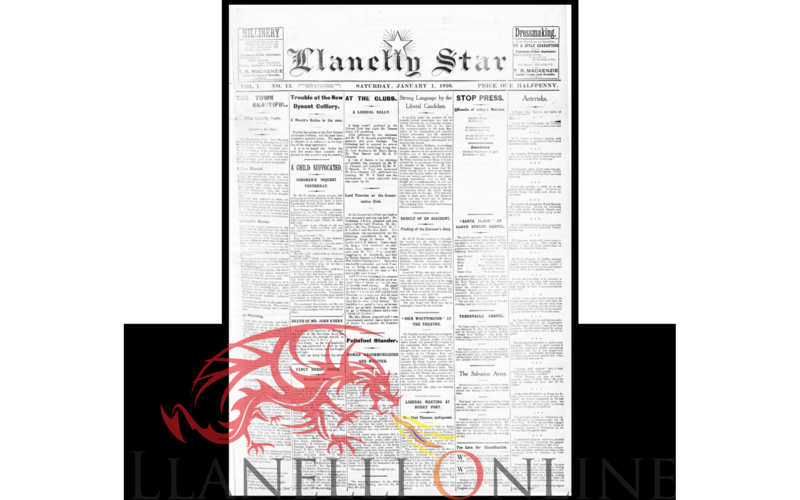 Initially a single sheet publication it grew to become a familiar sight in households across Llanelli with a firm diet of news, local sport and the ever popular obituaries pages. 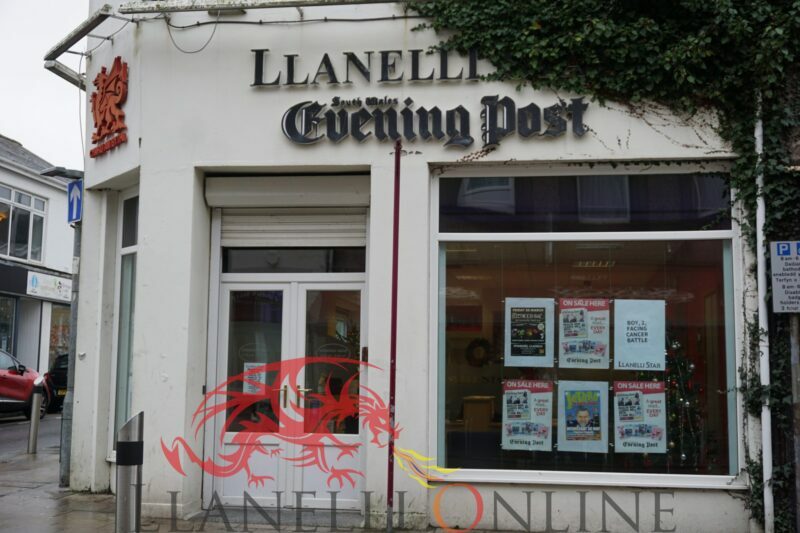 The paper version is set to continue but there are signs of cracks appearing in local newspapers as a new generation switches to online sources for their news. 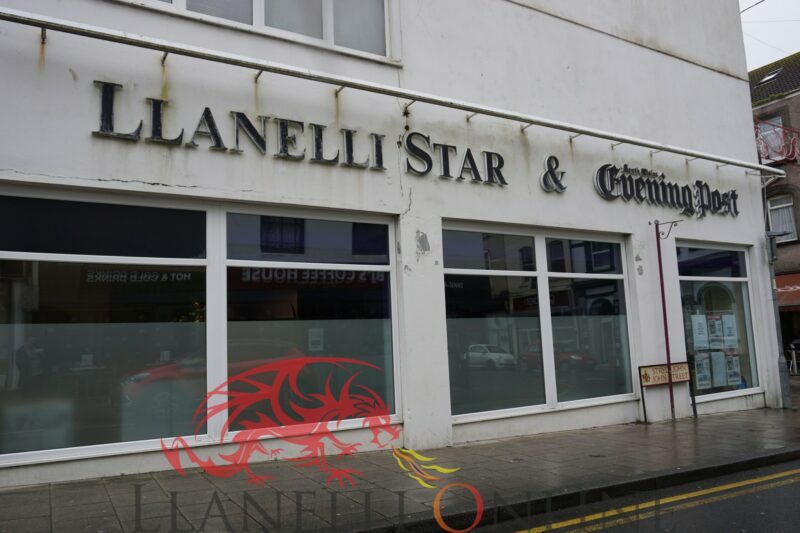 Llanelli Star offices to close from Llanelli Online on Vimeo.